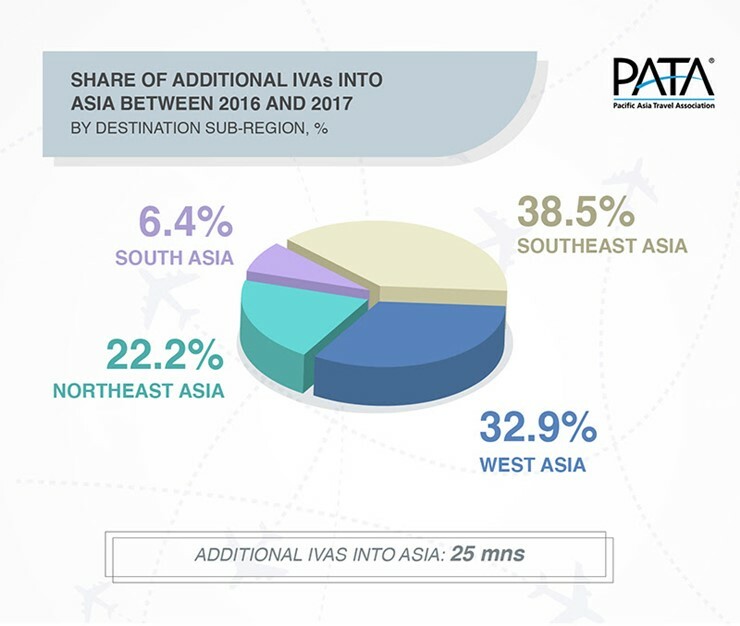 Across Asia it was Southeast and West Asia that each captured the largest proportion of additional foreign arrivals into Asia between 2016 and 2017. 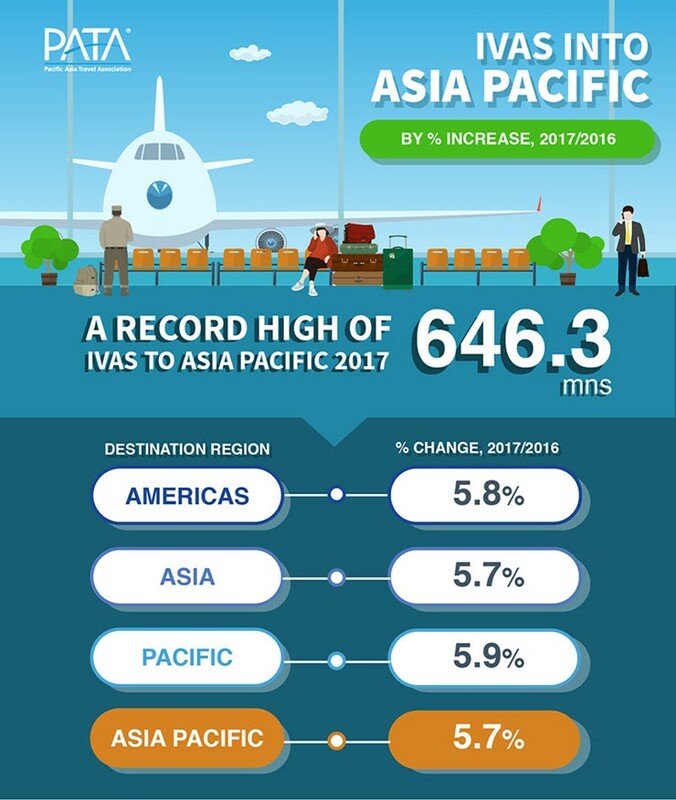 BANGKOK - Foreign arrivals into Asia Pacific destinations continued to grow at better than the global average in 2017, reaching a record volume high of more than 646 million arrivals relative to 2016. 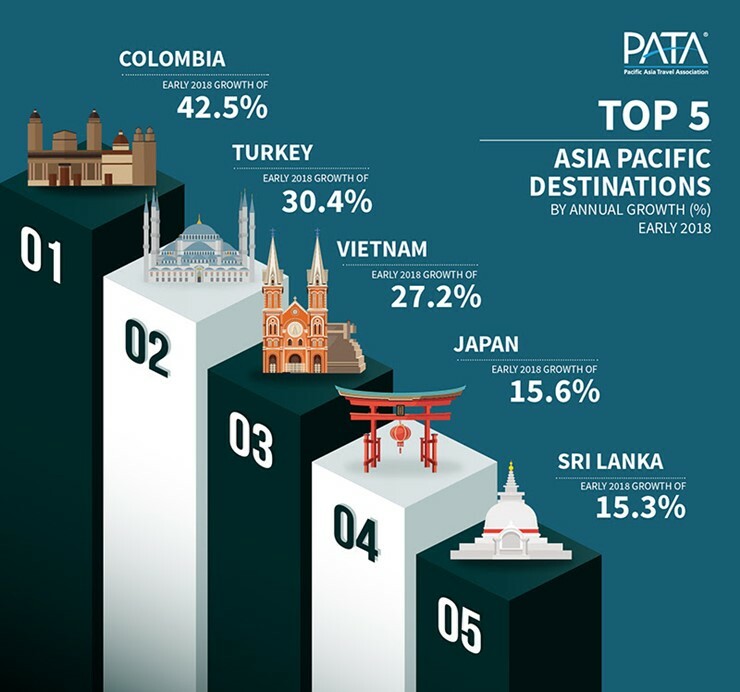 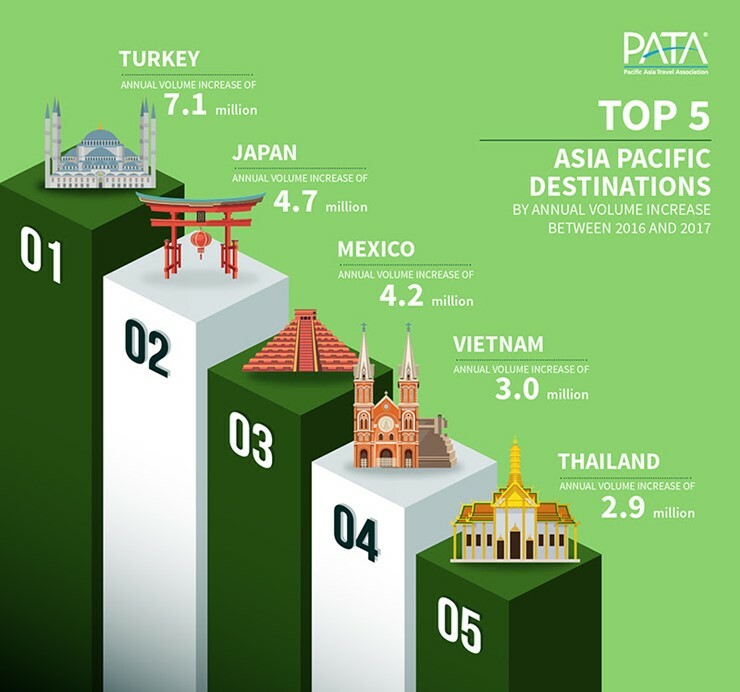 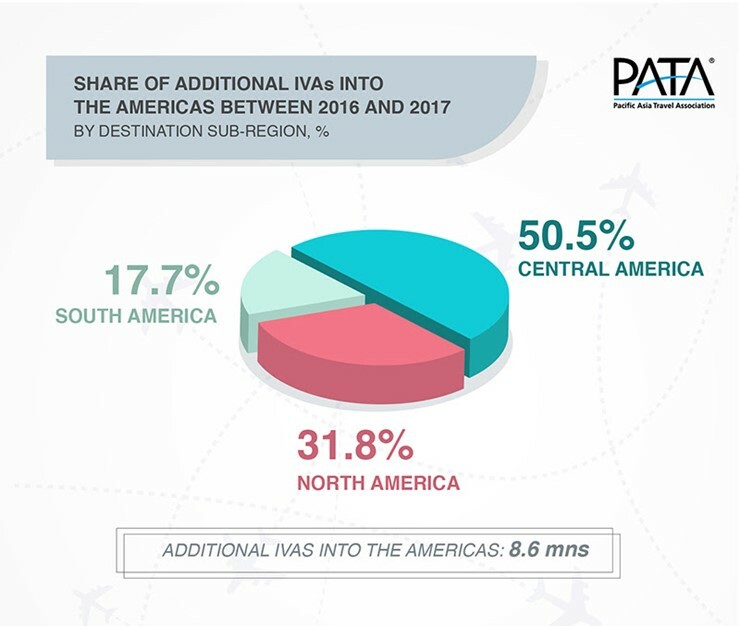 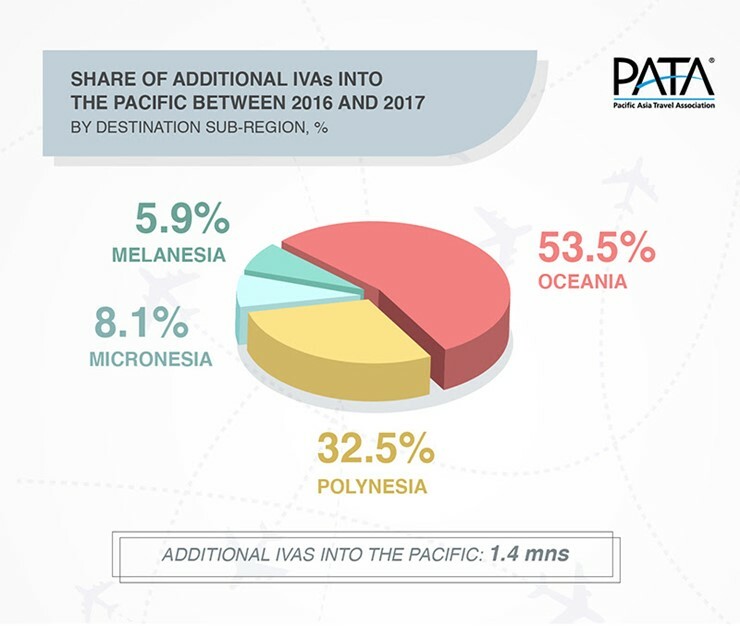 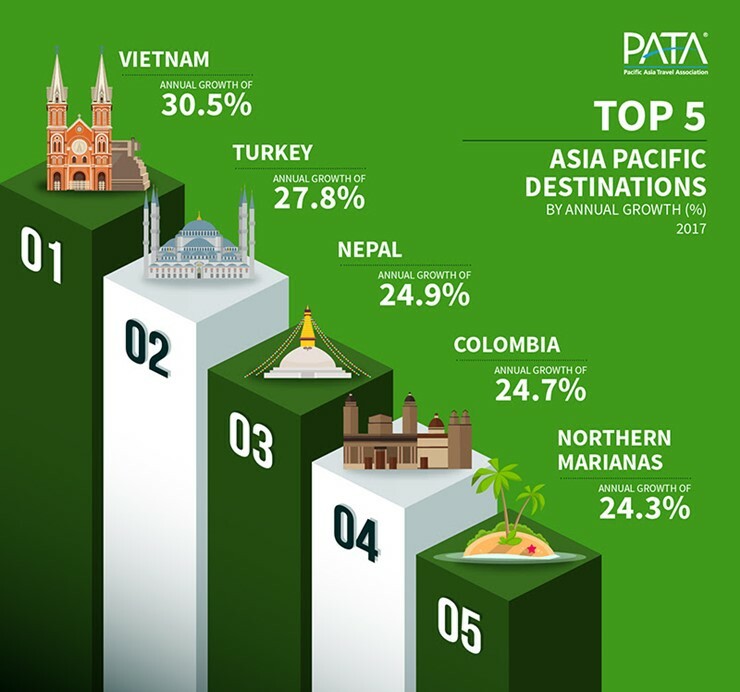 According to the Annual Travel Monitor 2018 Final Edition (ATM) released by the Pacific Asia Travel Association (PATA), international visitor arrivals (IVAs) into 47 destinations in Asia Pacific covered in this report increased by 5.7 percent and added close to 35 million additional arrivals to the collective foreign inbound count into Asia Pacific in 2017.